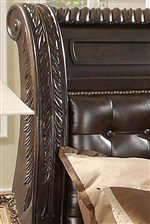 Accent your bedroom with a touch of elegance by adding this landscape mirror to the decor. 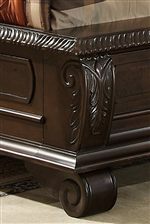 The piece carries a rich medium brown finish and features an arched top with palmatte design as well as two finials on the upper corners. 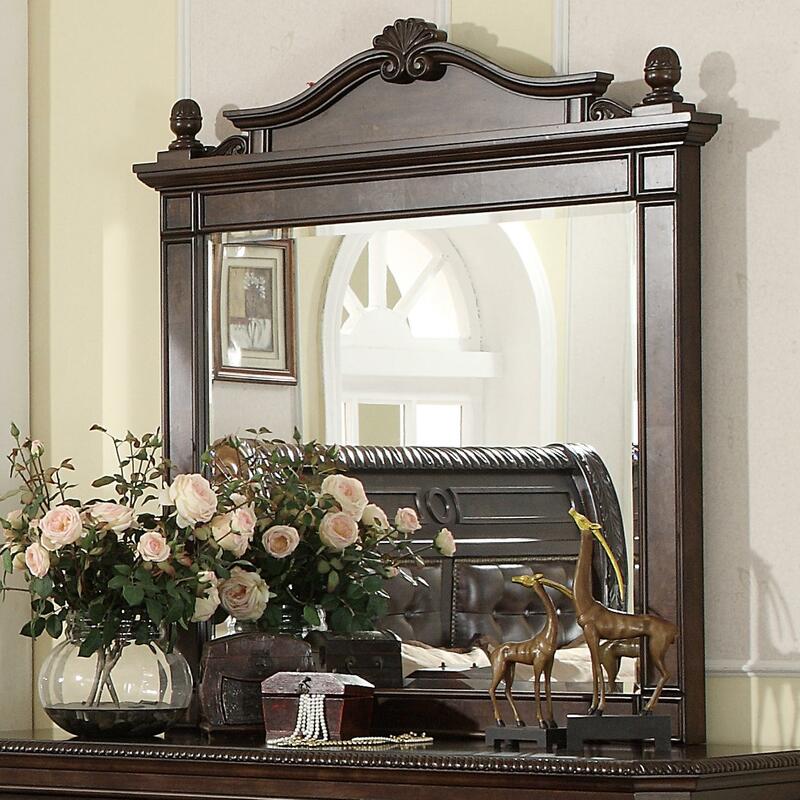 You can provide your bedroom with a complete look by adding this landscape mirror to the decor. 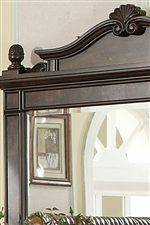 The B2160 Landscape Mirror w/ Finials at Miskelly Furniture in the Jackson, Pearl, Madison, Ridgeland, Flowood Mississippi area. Product availability may vary. Contact us for the most current availability on this product.